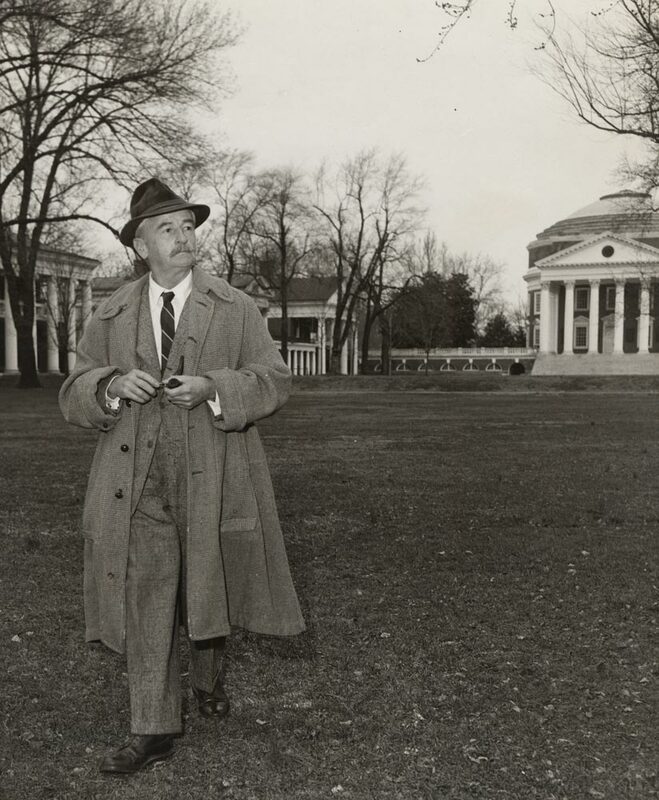 William Faulkner at the University of Virginia from UVA Magazine on Vimeo. 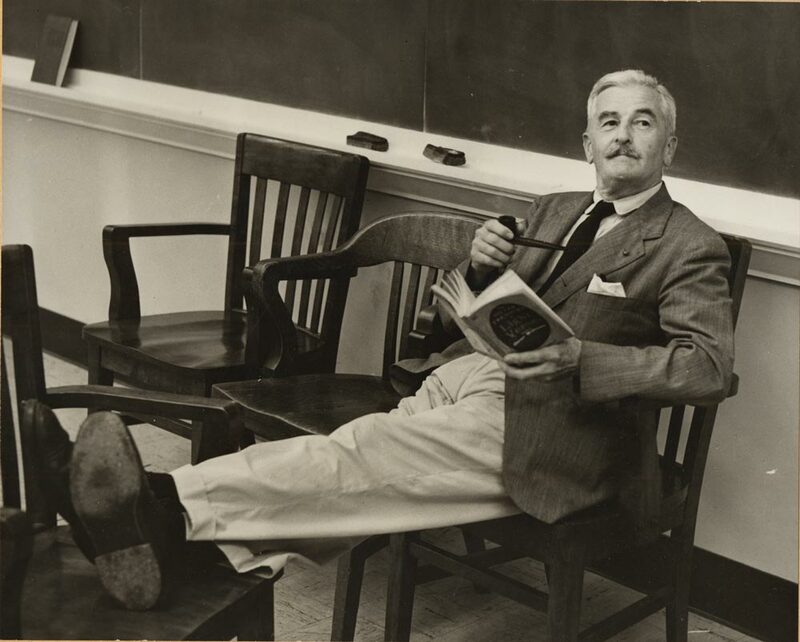 His place as one of the great writers of the 20th century firmly established, William Faulkner accepted an invitation in 1957 from UVA’s English department to come to the University as writer-in-residence. 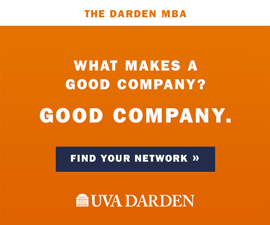 Faulkner’s appointment was cause for excitement among students and faculty, though the winner of the 1949 Nobel Prize for Literature initially caught Virginians off guard. 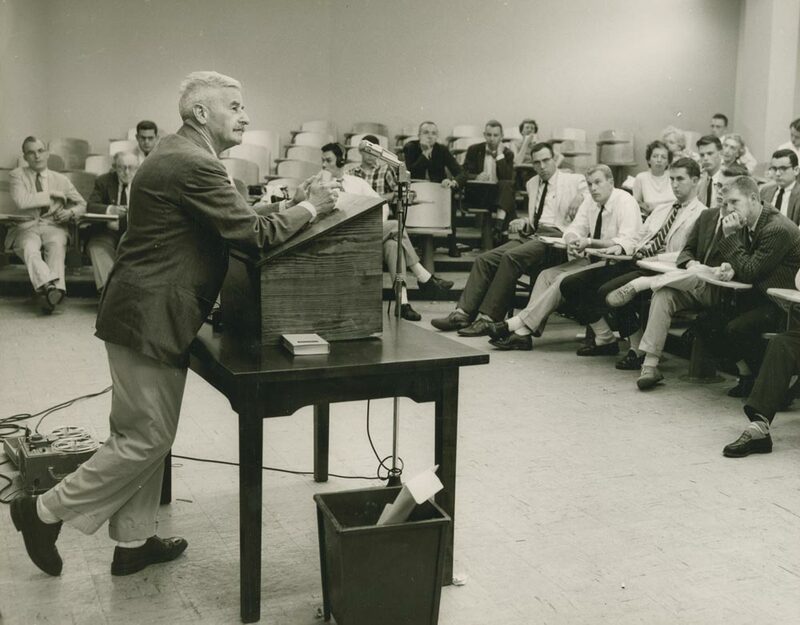 Faulkner returned as writer-in-residence in the spring of 1958. The following year, he worked from a study in Alderman Library as a consultant on contemporary literature to the library. 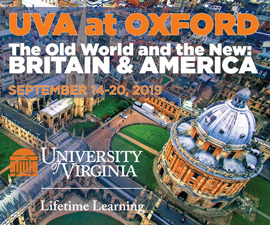 He was appointed lecturer in American literature in 1960 and divided his time between Charlottesville and Oxford, Miss., until his death in 1962. To mark the 50th anniversary of Faulkner’s second term as writer-in-residence, the Special Collections Library hosted an April 4 symposium, “Faulkner in the University: Then and Now.” An accompanying exhibit—which includes an interactive kiosk featuring video and audio, along with letters, manuscripts, Faulkner’s typewriter and tweed jacket—can be seen through Aug. 1. 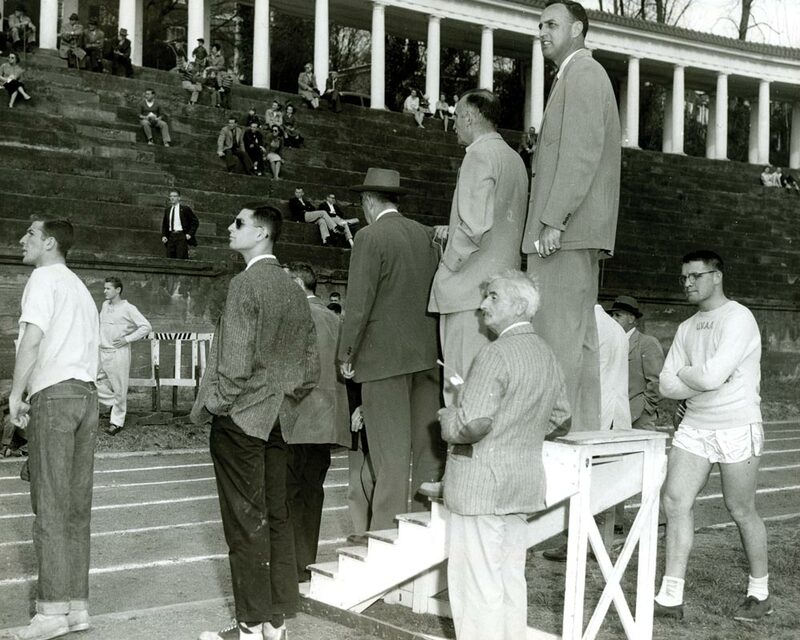 I was a freshman at UVA 1956-57 and ran track under coach Onesty. 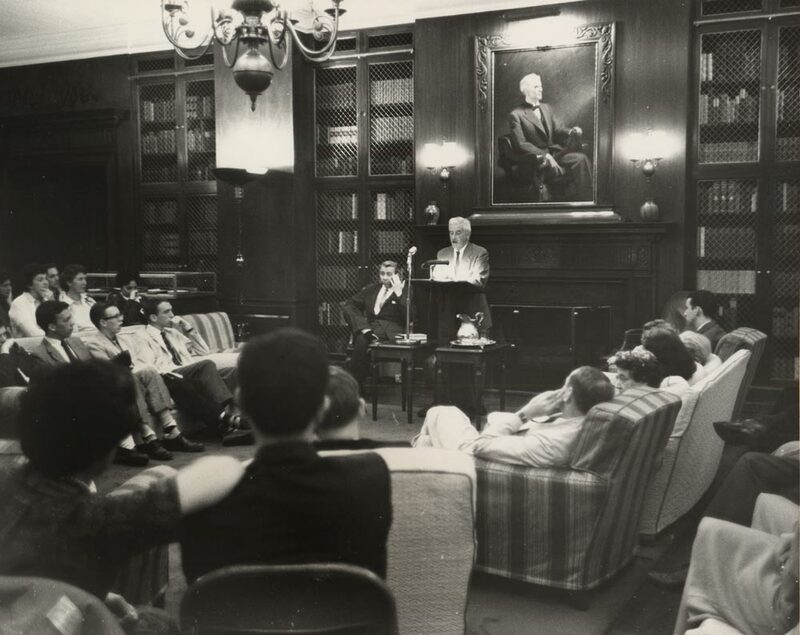 Upper classmen English majors and grad studs were awed by Faulkner and were afraid to go see him. I was too dumb for that, made an appointment to see him, and spent and hour talking with him about hunting, pipes, why he wrote long sentences, etc. He showed up not long after at the track and we talked some more. I could tell he saw right into me but didn’t matter—approachable, patient, delightful man.